It is accepted by many that a higher bodyweight (measured by body-mass index or BMI) increases the risk of disease and death. However, recent research trends have suggested that this relationship is not as simple as once thought. This may be related to observational associations between increasing BMI and mortality, which may lead to conclusions that a slightly higher BMI is actually protective against death. However, other researchers assert that this is not a causal relationship, mainly because it does not account for other factors such as lifestyle choices and illnesses at their onset. A team of researchers from Bristol University and the Norwegian University of Science and Technology decided to re-address this conflict by re-visiting the data from a longitudinal study. They found that increasing BMI had a causal relationship with increasing mortality. 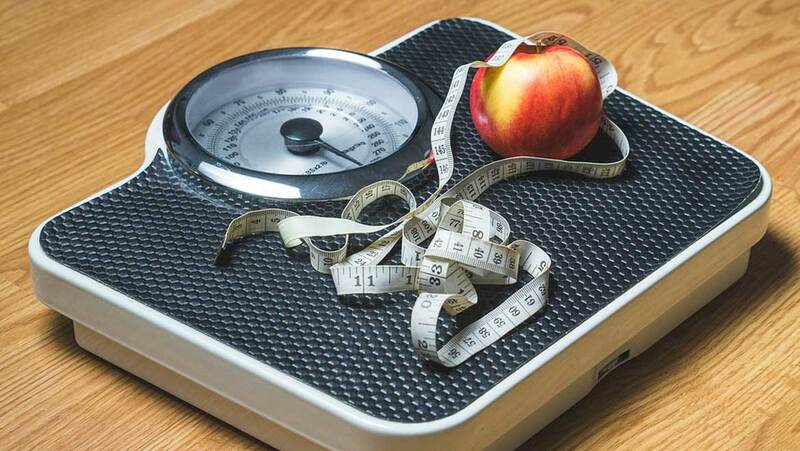 This new study may contribute to a re-evaluation of the link between these two factors that reject popular new theories that downplay the effect of BMI on the risk of death. Bodyweight (often defined in terms of the body mass index (a ratio of weight to height)) is consistently targeted as a potential or probable risk factor in many forms of disease. This is due to evidence that increased BMI has compelling links to early death of various causes. On the other hand, some recent observational studies have suggested that decreased BMI is in fact associated with the increased risk of death. There have also been some indications that increased BMI in vulnerable populations such as the elderly promotes their survival. One of the issues that may be behind contradictory findings may be the use of BMI itself as a measurement standard. BMI merely compares total body mass to height, without correcting or eliminating the relative mass of specific tissues such as excess adipose tissue. On the other hand, some studies that have reported negative effects on the probability of cancer and cancer deaths have used the specific variable of excess body weight, not BMI, on these outcomes. For example, a recent study on Irish mortality rates between 2003 and 2012 to which the Population Attributable Fraction was applied found that 800 cases of cancer and 300 deaths from cancer were related to excess body weight. Therefore, a team from the MRC Integrative Epidemiology Unit and Population Health Sciences at the University of Bristol and the Department of Public Health and General Practice of the Norwegian University of Science and Technology assessed data on 30,000 parents and their offspring. The BMI of these offspring was used to avoid confounding with other prevalent factors such as ill health. The team found that the parents’ mortality (over 18,000 died during follow-up) appeared to be associated with both the highest and lowest cut-offs of BMI measurements. However, when corrected using the “offspring” BMI data, only increased BMI was associated with increased mortality. When reduced BMI was associated with mortality, it was also associated with factors that may have caused the decrease in body weight, such as progressive health conditions. The data for this study was taken from the HUNT longitudinal studies, which were three two-year sessions of data collection that began on 1984, 1995 and 2006 respectively. It collected data on blood pressure, blood lipids and BMI from approximately 30,000 people and matching parents (one per “offspring” participant). These BMI values were converted to quintiles for each age range, HUNT study and gender. Cox regression was applied to this data to estimate hazard ratios (HRs) based on a participant’s BMI; and that of their parents. This was used to construct models that adjusted for factors such as lifestyle and behavioural choices (e.g. smoking), physical activity, education and employment status. The results found that parents and children with higher BMIs were more likely to have higher blood pressure and lower exercise rates. In addition, parents with increased BMIs had children with higher BMIs. BMI vs Body Fat from Lee Health on Vimeo. These models resulted in HRs (with (95% confidence intervals) per standard deviation of offspring BMI of 1.05 (1.04, 1.07) for all-cause mortality in the parents. In addition, these HRs ranged from 1.00 (0.88, 1.13 to 1.21 (1.08, 1.35) for parent deaths related to illness (e.g. cancer, CVD or diabetes). When this was adjusted to use child BMI as the instrumental variable, the HR for all-cause mortality was 1.18 (1.10, 1.26). The HRs for disease-related deaths ranged from 0.94 (0.73, 1.20) to 2.27 (1.40, 3.67). Therefore, the authors concluded that both parent and child BMI values had a positive association with all-cause mortality as well as deaths from conditions such as cancer, CVD, coronary heart disease and diabetes. Furthermore, they reported that there was no evidence for any association between decreasing BMI and mortality of any cause. The researchers also plotted parent BMI against child BMI in terms of mortality, and found that they retained robust associations at high BMI, but dissociated as BMI values fell. This study, published recently in the International Journal of Epidemiology, may contradict an emerging theme in the media that argues for a protective effect of moderately increased BMI on the risk of death. This study also supports common guidelines that recommend keeping BMI between values of about 18 to 25. Research such as this also reinforces the negative impact of obesity on public health. Collins A, McCarthy T, Laffoy M. Cancer Incidence and Mortality due to Excess Body Weight in Ireland: An Analysis of 10-year data. Irish medical journal. 2017;110(7):614. Carslake D, Davey Smith G, Gunnell D, Davies N, Nilsen TIL, Romundstad P. Confounding by ill health in the observed association between BMI and mortality: evidence from the HUNT Study using offspring BMI as an instrument. International Journal of Epidemiology. 2017:dyx246-dyx.